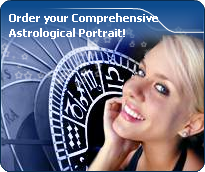 You will find below the horoscope of Diane Tell with her interactive chart, an excerpt of her astrological portrait and her planetary dominants. Horoscopes having the same aspect Sun trine Pluto (orb 0°22'): Shakira, Grace Kelly, Bruce Lee, Tina Turner, Chris Evans (actor), Adriana Lima, Colin Farrell, Cate Blanchett, Kesha (singer), Robert Wadlow, François Mitterrand, Steven Seagal... Find all the celebrities having this aspect. Horoscopes having the same aspect Moon conjunction Venus (orb 0°25'): Brad Pitt, Rihanna, Ashton Kutcher, Emma Stone, Anti-Christ, Camilla, Duchess of Cornwall, Louis XIV of France, Edgar Allan Poe, Anna Nicole Smith, Brooke Shields, René Descartes, Michael J. Fox... Find all the celebrities having this aspect. Celebrities clicked on in real-time: 575,954,567 times. Diane Tell (born Diane Fortin in Quebec City on 24 December 1957 (birth time source: Grazia Bordoni, Xavier Ego "Recueil de 4200 personnalités" 1ère édition – Centre d’Organisation des Méthodes d’Astrologie Conditionaliste C.O.M.A.C., Spérel, Tourves, 1997, from Astrodatabank, original source unknown)) is a francophone singer-songwriter and producer from Canada. She grew up in Val-d'Or before moving to Montreal with her family in 1969. She was part of the original 1990 production of the rock opera La Légende de Jimmy by Michel Berger and Luc Plamondon. For the Juno Awards of 1984, she was nominated as Most Promising Female Vocalist of the Year. Here are some character traits from Diane Tell's birth chart. This description is far from being comprehensive but it can shed light on his/her personality, which is still interesting for professional astrologers or astrology lovers. In a matter of minutes, you can get at your email address your astrological portrait (approximately 32 pages), a much more comprehensive report than this portrait of Diane Tell. Diane Tell, the diurnal South-eastern quadrant, consisting of the 10th, 11th and 12th houses, prevails in your chart: assertion and goals achievement are at the centre of your concerns. You are very keen to implement your dreams and your plans. You achieve your ambitions as soon as possible, whether through an active social life, highly charged friendly relations, or an urge to take actions in order to reap - in the eyes of the world, of course - the rewards of your dynamism. It is likely that spirituality or humanitarian actions are part of your motivations, sometimes at the price of some degree of isolation. Diane Tell, Fire is dominant in your natal chart and endows you with intuition, energy, courage, self-confidence, and enthusiasm! You are inclined to be passionate, you assert your willpower, you move forward, and come hell or high water, you achieve your dreams and your goals. The relative weakness of this element is the difficulty to step back or a kind of boldness that may prompt you to do foolish things. Like the majority of Earth signs, Diane Tell, you are efficient, concrete and not too emotional. What matters to you is what you see: you judge the tree by its fruits. Your ideas keep changing, words disappear, but actions and their consequences are visible and remain. Express your sensitivity, even if it means revealing your vulnerability. Emotions, energy and communication must not be neglected; concrete action is meaningless if it is not justified by your heart, your intellect or your enthusiasm. The Mutable mode is the most emphasized one in your natal chart, Diane Tell, which indicates a mobile character that is curious and thirsty for new experiences and evolution. You are lively and flexible, and you like to react quickly to solicitations, but don't confuse mobility with agitation, since this is the danger with this configuration - and with you, stagnation is out of the question. Security doesn't matter as long as you are not bored. You optimize, you change things, you change yourself... all this in a speedy way. Cadent houses, namely the 3rd, 6th, 9th and 12th houses, are very emphasized in your chart, Diane Tell. They indicate important potential for communication, adaptability and flexibility. These houses are symbolically linked to the mind and intellect. The relative weakness implied by these characteristics indicates your tendency to hesitate or to be indecisive, but also your remarkable ability to start off again, which is a nice quality, finally: you can easily get yourself out of a tight spot thanks to your mobility and casualness, in the best sense of the term. This group of houses corresponds to evolutionary characteristics of your personality. However, they are only indications and you must include them in the rest of your chart in order to see whether they are validated or not! After this paragraph about dominant planets, of Diane Tell, here are the character traits that you must read more carefully than the previous texts since they are very specific: the texts about dominant planets only give background information about the personality and remain quite general: they emphasize or, on the contrary, mitigate different particularities or facets of a personality. A human being is a complex whole and only bodies of texts can attempt to successfully figure out all the finer points. You need to concentrate on a subject, Diane Tell, to deepen your research and to follow your reasoning through with persistence and determination. You are the very type of the thinker who needs time and isolation to meditate at length and allow her serious, methodical and rigorous mind to show its worth. Your feet are firmly planted on the ground and to get your attention, ideas must be followed by implementation, for instance as in the case of mathematics applied to physics. You focus on the essential and you look at the world around you with clear-sightedness. You are not very talkative and you act with caution. You may come across as cold and ambitious even though your comments are always sincere and practical. However, be careful not to isolate yourself and to appear as a lofty and intolerant person. In love, you are more cerebral and friendly than really passionate, Diane Tell. You are made for amorous friendships, for refined and light feelings where each partner retains one's freedom, and almost detachment, without getting really committed. Sometimes, you may be distant from, and indifferent to, love matters for a while, because you can be completely engrossed in original intellectual pursuits and the collective atmosphere which you are so fond of. You substitute a great number of friendly and light contacts to amorous relationships and it is fair to say that they satisfy you. To fall in love, you need spice and a partner who is original, who amazes you and whom you admire; under such conditions, you can freely express your feelings in an ambiance devoid of constraint, where freedom is perfectly respected and shared within the couple. The ruler of the Ascendant, Diane Tell, is Neptune. It is posited in the sign of Scorpio and makes you appreciate mysteries and the unknown. You need to understand, to solve riddles, and to take action behind the scenes, perhaps so as to be even more efficient. Your criticising skill is a weapon, but it may also backfire on you, just like your sometimes excessive obstinacy. Diane Tell, you are a real Goliath and you often excel in sport; your thirst for conquests prompts you to constantly launch new challenges. The enthusiasm you put in your undertakings is perfectly well supported by your moral concepts and an idealism compatible with the values of the society you live in. You are pragmatic, enterprising and sometimes, naive. You do not pay attention to details and you launch various great adventurous projects that are all doomed to success. In a few rare cases, you can funnel your huge energy into more philosophical, even spiritual or religious enterprises, where your entire fieriness works wonders. On the sexual plane, your ardour and your spontaneity are your main assets. The danger is that you may spread yourself too thin in the sense that you may forget about faithfulness, particularly during the extensive faraway travels you are so fond of. This text is only an excerpt from of Diane Tell's portrait. We hope that it will arouse your curiosity, and that it will prompt you to deepen your knowledge of astrology, as well as to visit and use the wide range of free applications at www.astrotheme.com. Your Life Path is influenced by the number 4, Diane, and your destiny implies sustained efforts, long-drawn-out works, and concrete achievements. The path may seem a bit tedious, but it is very promising, provided that you demonstrate some tenacity, loyalty, and patience. You are often invited to display orderly and methodical qualities, and step-by-step, you go through all the stages which may lead you to success, if you do not let hurdles dishearten you throughout your life. Persistence is among your major qualities. You see life as a challenge, and, far from falling into the trap of picking the easy way out, you face problems with calm and lucidity, and you choose the work and steady effort which open the door to success, although evolution requires quite a long time. Your personal path is based on continuous efforts and on maintaining the same immutable direction.